Taurus’ latest offering for the concealed carry market is the new Curve – a double-action only .380 ACP designed to conform to the body for greater concealment. When carrying a firearm on one’s waist, the most difficult part to conceal is often the grip, which sticks out at odd angles from the body. Taurus has addressed that with the Curve. Not only is the Curve about the size of the new iPhone 6 Plus at 5.18″ long by 3.7″ tall with a short, stubby grip, its curved design allows it to hug up against the wearer’s hip. This helps limit the pistol’s maximum projection from the body to the thickness of the 1.18″ frame and 0.88″ grip while allowing for 7 rounds to be at the ready. Lacking an external safety, the Curve relies on the approximately 7 lb. DAO trigger. 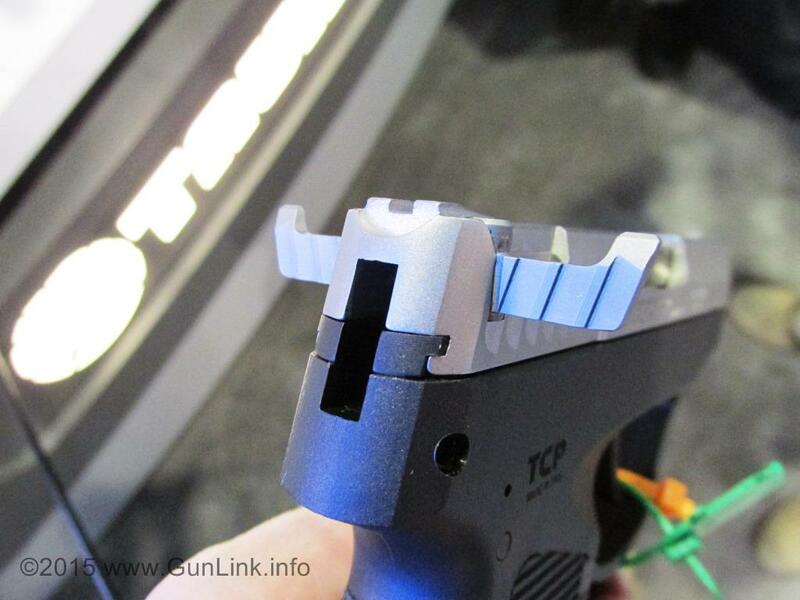 When using the integrated belt clip or pocket carrying, the trigger is covered by the included lanyard-attached trigger protector. 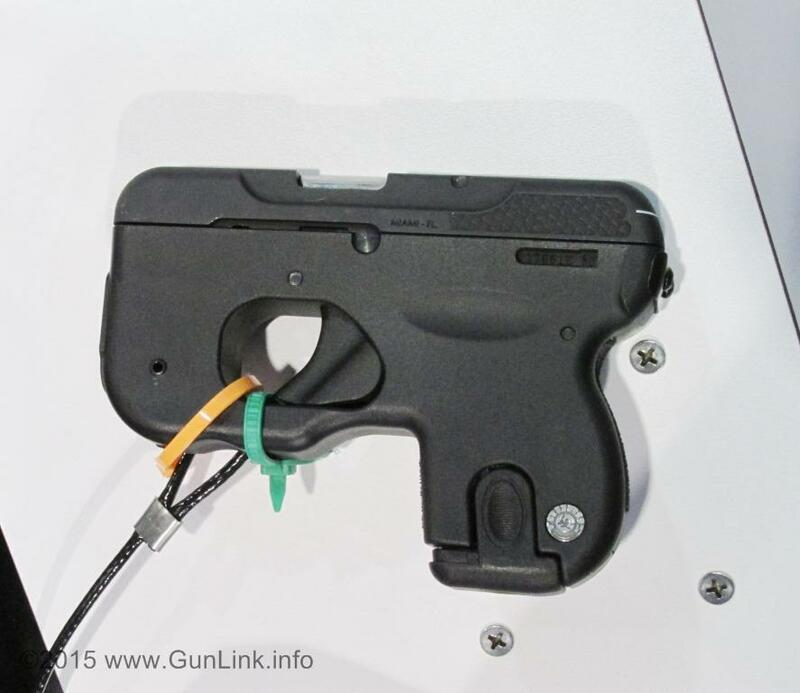 It also has a loaded chamber indicator and an almost universally unwelcome Hillary Hole-type locking mechanism. 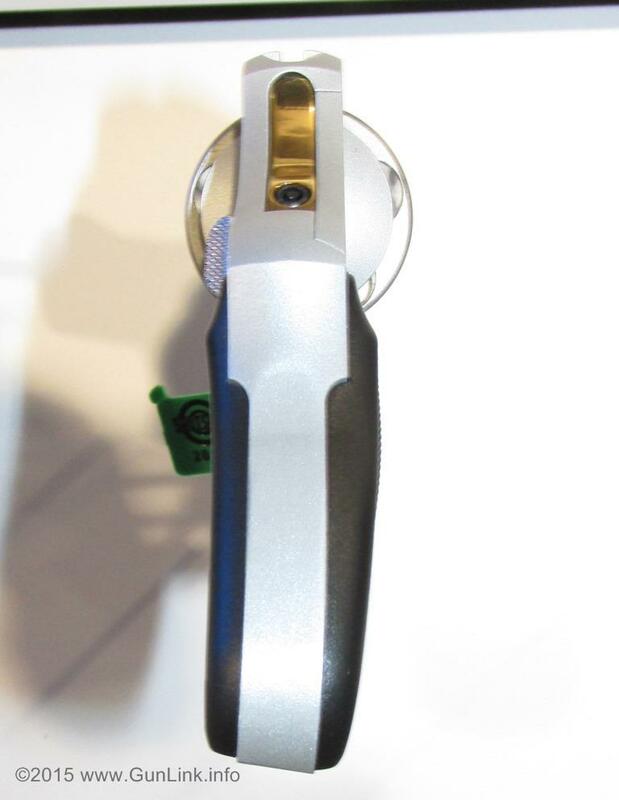 To complement the snag-free smooth frame and rounded corners, the curve forgoes protruding sights in favor of a LaserLyte LED light/laser combo integrated into the frame – a cringe-worthy idea for shooters and instructors who prefer shooting fundamentals over relying on battery-powered sights. 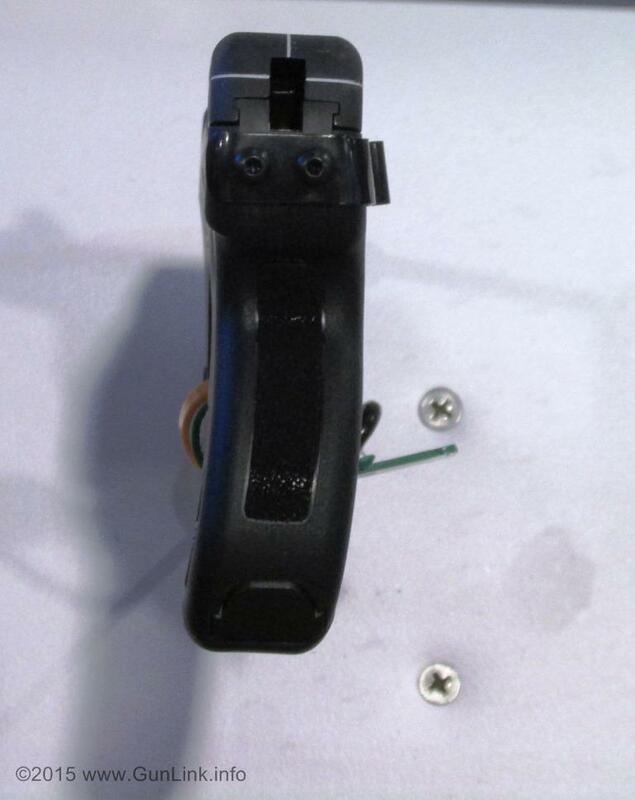 The US-made Curve does, however, feature rudimentary “cross-hair” sights on the rear of the pistol – after all, it is a concealed carry pistol .380 and not a target gun. We didn’t get to shoot the Curve, which retails for just under $400, but it is likely to be pretty snappy at 10.2 oz unloaded. 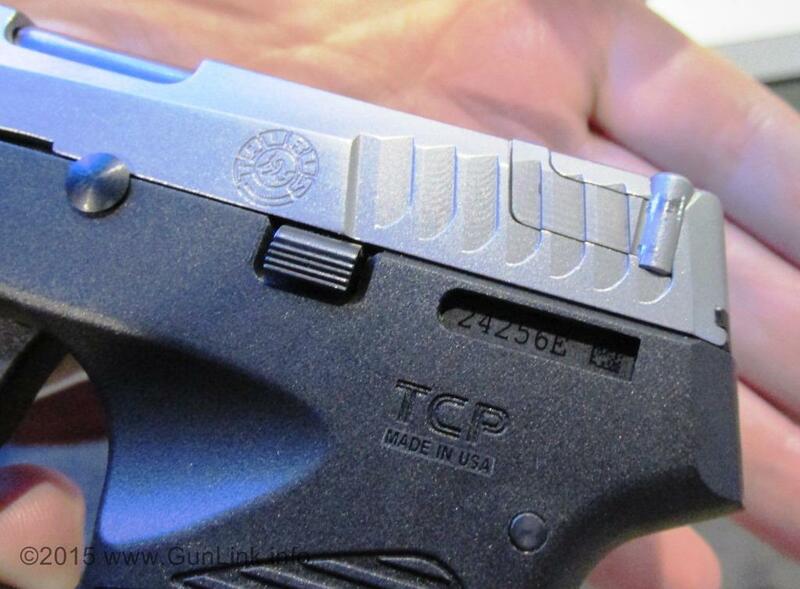 Another update to Taurus’ CCW line comes on another US-made 6+1 .380 on display at SHOT Show 2015 – this one on their TCP 738 line. It isn’t a big change and it doesn’t affect the pistol’s basic functionality, but it should improve usability. What they have done is add wings at the rear of the slide to aid shooters in racking the slide. 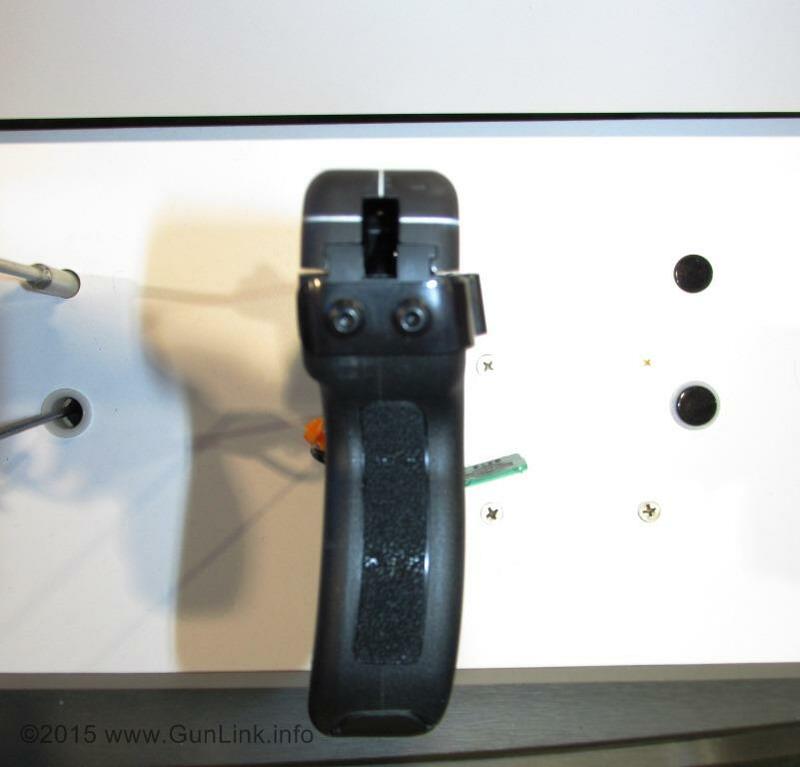 The wings, one on each side of the slide, fold away to allow the slide to be manipulated with a normal grip but, when deployed, allow users to get a better grip to pull the slide rearward. 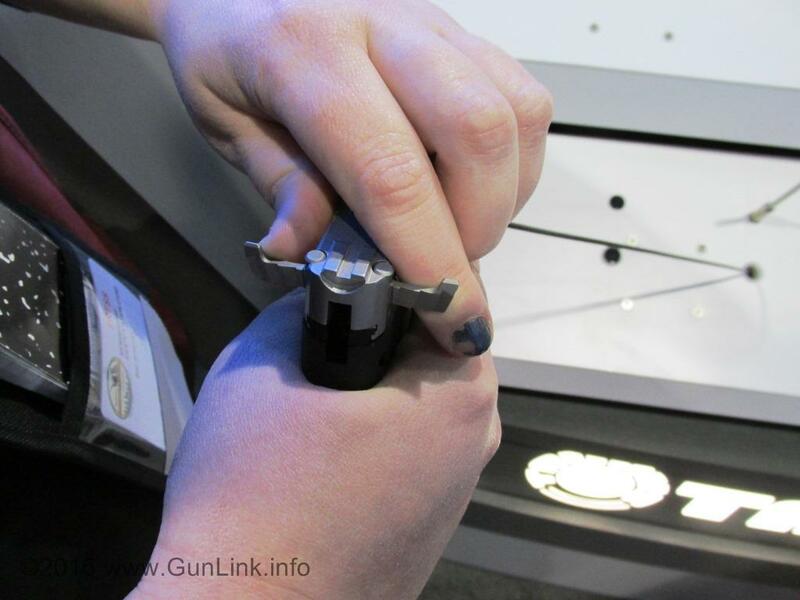 This could be a boon for shooters who have a hard time overcoming the stiff recoil springs in small, lightweight pistols. The wings on the prototype we handled seemed to stay securely folded away when not in use, but only time will tell if the design is enough to keep the new TCP from flapping its wings while firing. Another concern might be that the wings might provide another snag point when drawing the pistol from concealment. 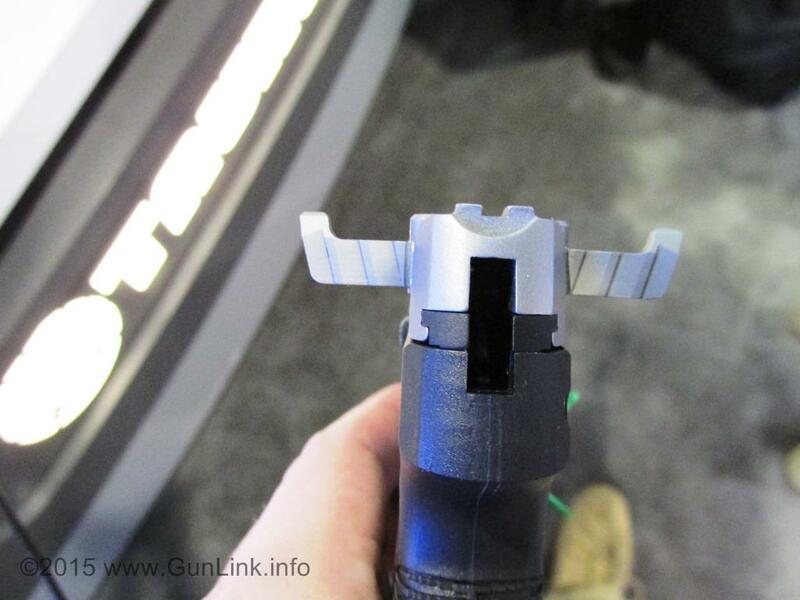 SHOT Show 2015 also saw a couple of updates to Taurus’ Brazilian wheel guns. 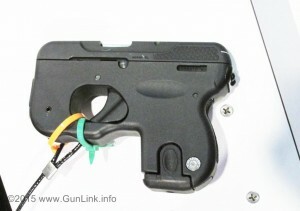 Another update to the Taurus 85 line is the convertible hammer. 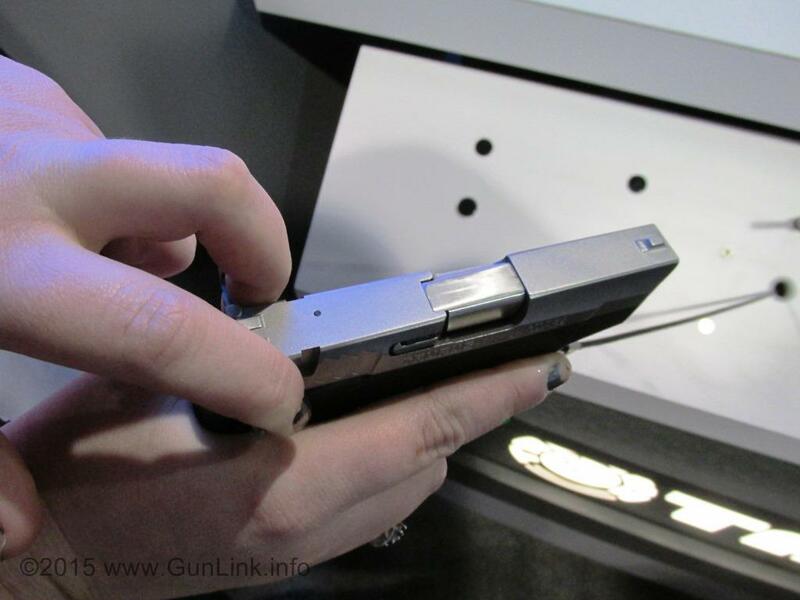 This feature allows users to choose between a snag-free, DAO concealed carry revolver or a SA/DA with the same handgun. The hammer spur twists on and off with a quarter turn, giving users something else to lose. its good to see new guns being created. that curve looks ugly tho. 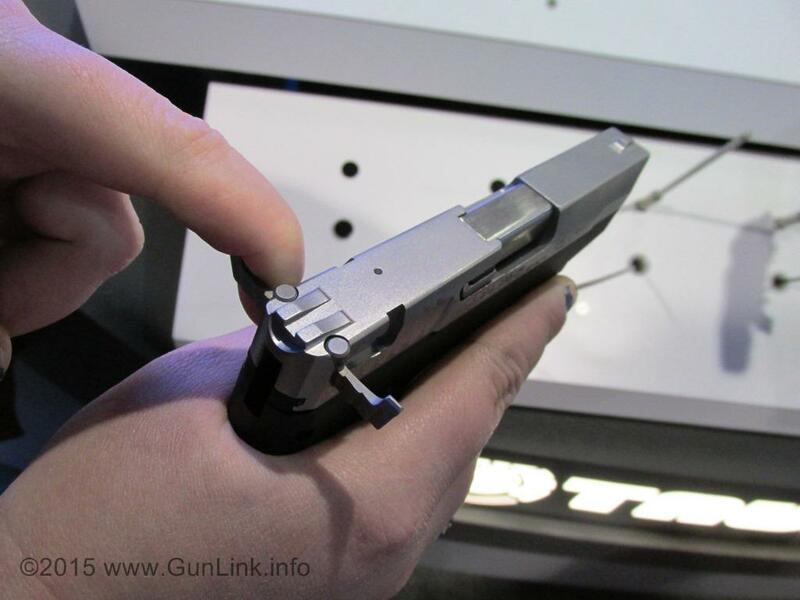 Pingback: The Ultimate Concealable Revolver – Taurus 85VTA | Gunz Inc.